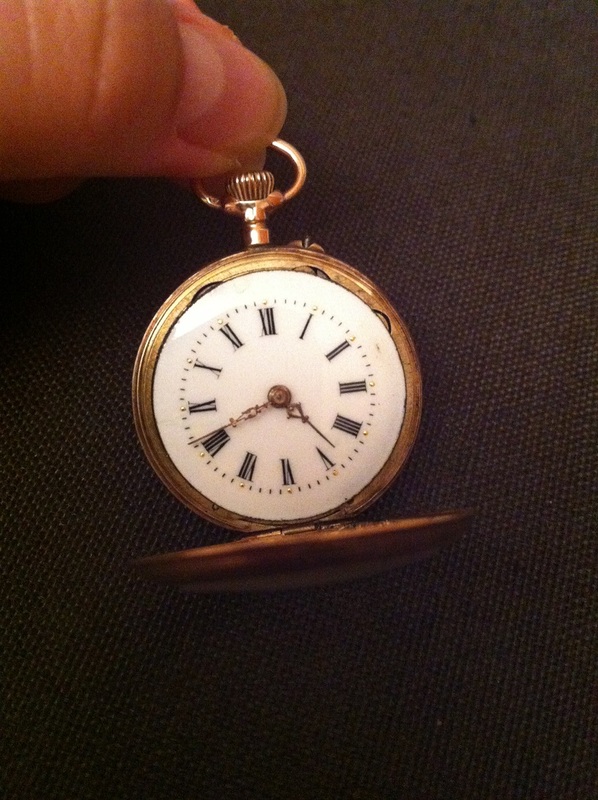 This is my very first pocket watch and I am so excited! 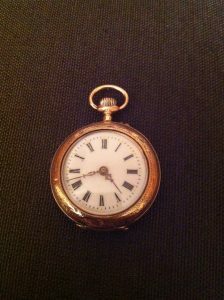 I get it from the Vienna Antiques Fair at the Ringstrassen-Galerien. 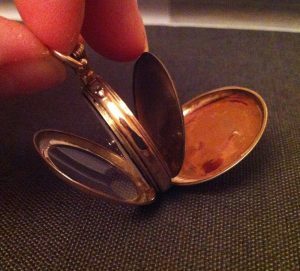 So cute look at the hand winding! It is a small watch with a diameter less than 3cm. 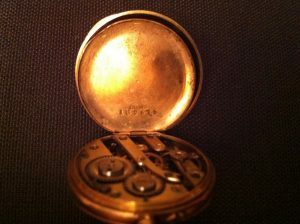 I think this type of watch is simply called ‘open face’ pocket watch. 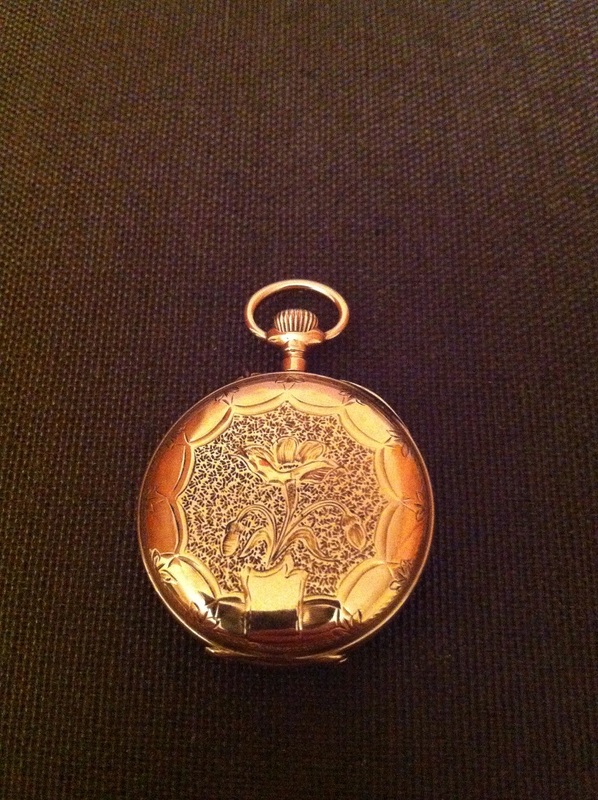 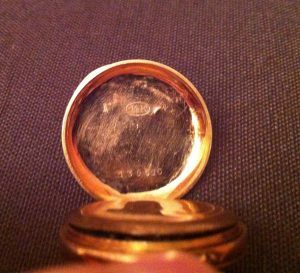 The watch case has a 14K written hallmark with a squirrel hallmark – from the Swiss hallmarking system. It has a serial number I think it reads ‘139576’. It also has a middle metal lid called ‘cuivre’ meaning copper in French, with the same serial number ‘139576’. The ‘cuivre’ metal lid with a matching serial number. 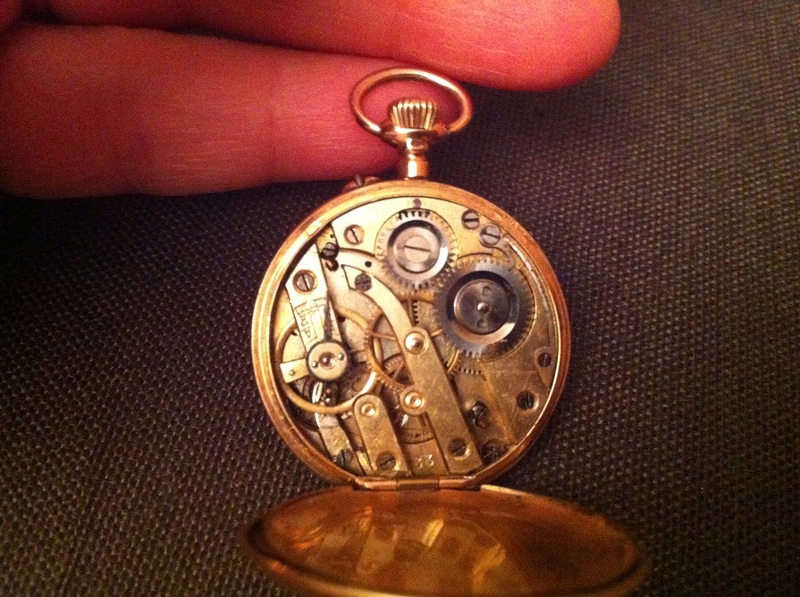 I kinda like pocket watch because it has a lot of parts in it. 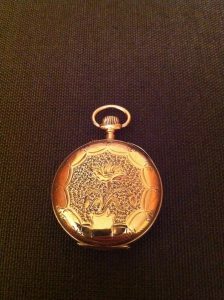 It shows a truly handmade antique which requires precision. 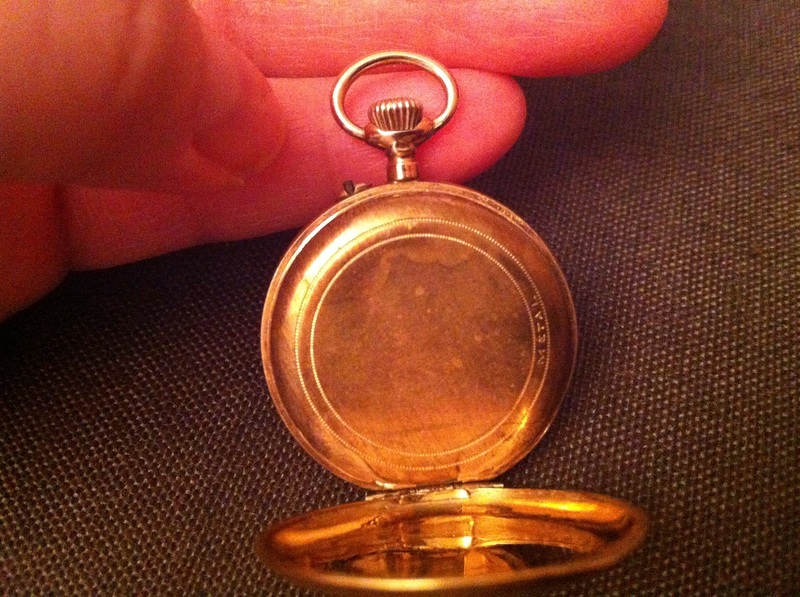 The weight of this pocket watch is about 18.1 grams. It is a manual handling watch so I think I need to winding it manually to make it works. Manual handling watch! Hats off to whoever made the pocket watch! 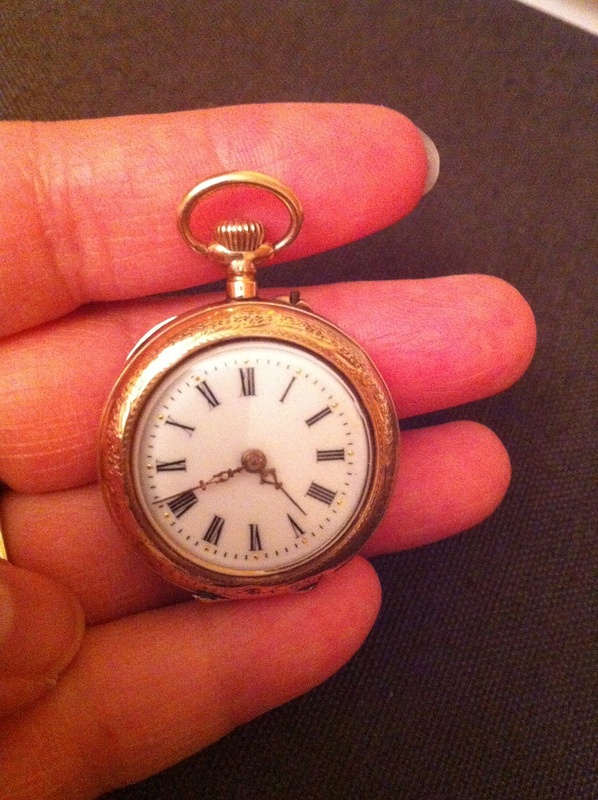 The lady who sold it says that this pocket watch is about 100-120 years, meaning that it was probably made in the late 19th century or early 1900s.